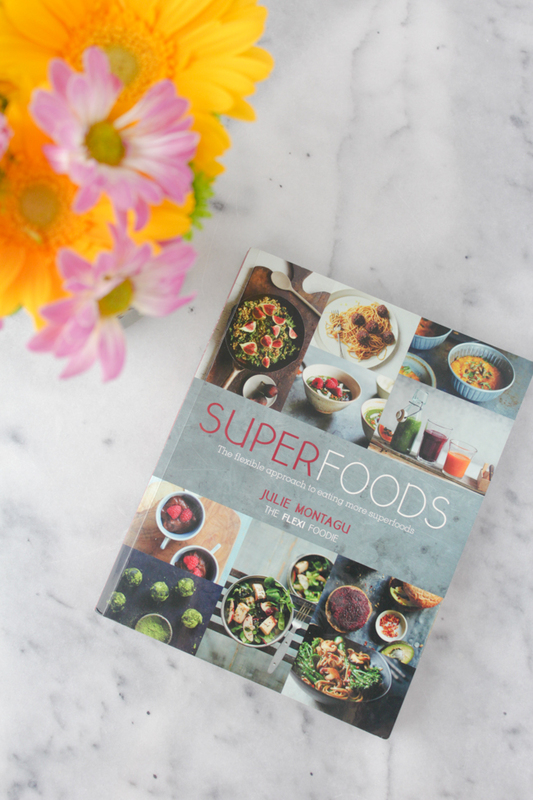 If you follow me on Instagram or are a regular reader, you know that I've become a bit obsessed with Julie Montagu's Superfoods cookbook . Let me start off by saying, I haven't bought a cookbook in years. I felt that there were so many delicious recipes for free online that it simply wasn't worth spending money to get a physical book. But when a friend and I stumbled into a bookstore while shopping around on Union Street in the Marina, I was excited to see a plant-based cookbook section, and Superfoods caught my eye. My top requirement for cookbooks is that there is a picture of almost every recipe since if there isn't one, I'm realistically at least 50% less likely to make it. 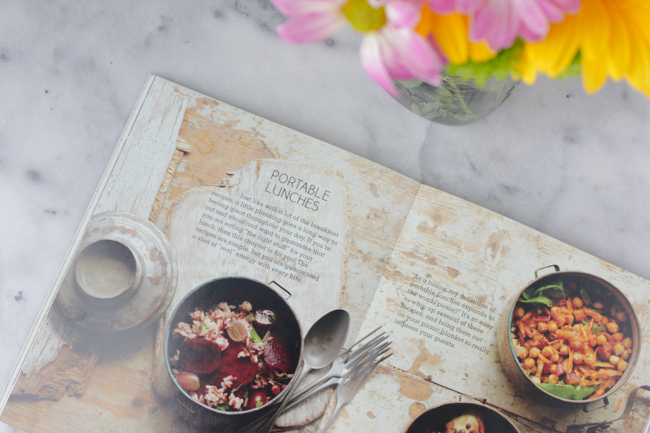 Superfoods met this requirement with gorgeous food photography throughout the entire book. Second on my list, is that most of the recipes have to require a reasonable number of ingredients and list minimal instructions. Superfoods got another check mark. Third, the recipes need to be healthy, which obviously Superfoods fulfilled. So I was sold! My first cookbook purchase in at least 5 years and it didn't disappoint. I've been eating recipes from the book throughout the past month and some of my favorites are a recipe for avocado toast that combines avocado with an ingredient I never would have thought of, a quinoa cassarole that's to die for, matcha green tea energy balls that take their title very seriously, and endless portable lunch recipes that are perfect to take with you to work. I also love that Julie includes a full explanation of the philosophy behind the book in the beginning, along with shopping lists for must have, nice to have, and good to have foods to add to your pantry. The lists also include some helpful text on each food, some of which were unfamiliar to me, that explains what it is and why it's so beneficial to include in your diet. I highly recommend it and, if you're like me and haven't bought a cookbook in half a decade, this is a great place to start! You can find it here. I'll have to check this out! I have the opposite problem where I buy a bunch of cookbooks but end up not using most of the recipes because they take too long/require too many ingredients :). If this one has recipes that are as minimalistic/healthy/easy/tasty as you're saying, it might be a good one to add to my collection! I totally know what you mean! I have a few cookbooks like that as well that I don't think I've ever made anything from. This cookbook has a few more complicated recipes in the dinner section, but the vast majority are really reasonable in terms of ingredients and instructions. Also, many of the recipes call for repeat ingredients so you're not buying an expensive jar of almond butter and then only using a teaspoon of it once, for example, which makes grocery shopping so easy! Let me know what you think if you end up ordering it! I also like cookbooks to have a picture for each recipe. Need to check this one out. I love her!! The quinoa casserole sounds so interesting!!!! Thanks for the review girl!